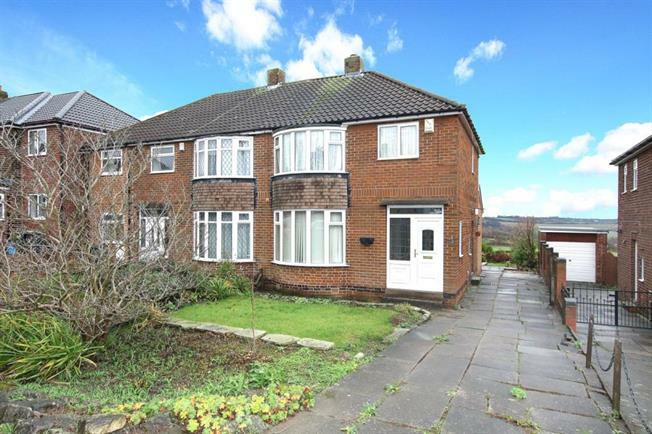 3 Bedroom Semi Detached House For Sale in Rotherham for Asking Price £210,000. FANTASTIC OPPORTUNITY! EFFECTIVELY EXTENDED FAMILY HOME! DELIGHTFUL VIEWS! Generous garden and ample driveway. NO CHAIN! Boasting delightful views over local countryside is this superb three bedroom semi detached family home with generous size rear garden and ample driveway. This fantastic property has been effectively extended and offers spacious living accommodation briefly comprising: entrance hall, kitchen, dining room, lounge, three bedrooms and bathroom. No upward chain is involved. View today!